A new initiative showing the unity of scientists on the subject of global warming highlights the lack of movement to cut CO2 emissions. 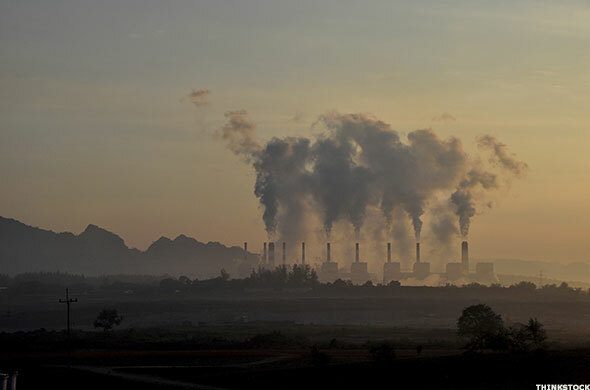 NEW YORK (TheStreet) -- The American Association for the Advancement of Science on Tuesday unveiled a new information initiative aimed at building public support for the scientific consensus surrounding climate change and calling for a global response to curtail carbon emissions. The appearance of such an aggressive campaign is welcome, given the public misinformation on all topics related to global warming, as demonstrated in articles and comments in recent weeks at TheStreet, and foot-dragging on the part of the U.S. government and the energy industry as a whole in addressing the problem of growing CO2 emissions. That misinformation has included very public disagreements between scientists on the details of their conclusions. However, as the AAAS literature states, such debate is an illusion that masks an underlying acceptance of global warming science. The energy industry as a whole has used the public confusion on the issue to avoid doing anything to develop a solution. Dealing specifically with "anthropogenic global warming" caused primarily by human-produced carbon dioxide, the organization's new Web site, "What We Know" offers articles and videos using strongly worded statements, clear language and little equivocation. The first is Reality -- 97% of climate experts have concluded that human-caused climate change is happening. The second is Risk -- that the reality of climate change means that there are climate change impacts we can expect, but we also must consider what might happen, especially the small, but real, chance that we may face abrupt changes with massively disruptive impacts. The third R is Response -- that there is much we can do and that the sooner we respond, the better off we will be. In a perfect world, the "response" would see the energy industry building on its existing initiatives to create new momentum for the reduction of greenhouse gas emissions. But industrywide, suppliers and fossil fuel energy producers feel little pressure and have made little effort to implement technology being developed and deployed in isolated instances. "That's true and it's kind of tragic," said Susan Hovorka, a scientist and researcher at the Gulf Coast Carbon Center and the Texas Bureau of Economic Geology. While noting a public discussion of alternative energies, she also pointed out that that the world's energy infrastructure is currently constructed around fossil fuels and no alternative can compete with them for portability and utility. "The solution that's not discussed very much is dealing with the problem, the release of carbon dioxide," she said. A market already exists for captured CO2, to be used in a process known as enhanced oil recovery. First developed in the 1970s to more easily extract oil from semi-depleted reservoirs, EOR uses an injected gas or liquid to drive the remaining oil to the surface. Carbon dioxide was found to work well, dissolving into oil that was otherwise unreachable and helping build pressure to drive it to the surface. Atmospheric pressure reduces enough around 2,000 feet below the surface that the oil and gas separate again, like the fizz coming out of soft drink. The oil comes up through the drilled well and the carbon dioxide remains stored underground. This technique has been proven effective and the reservoir sites tested and proven safe, with the CO2 remaining stored permanently underground. Other opportunities for permanent sequestration of CO2 have also been proven effective, including permanent storage in saline reservoirs. Norway's Statoil, Archer Daniels Midland (ADM - Get Report) in Decatur, Ill., and the Dakota Gassification Company are three that have successfully deployed carbon capture and sequestration technology. But even with those showcase examples, the industry as a whole has avoided investment in carbon capture technology. "Why don't we do this widely? Because its expensive," Hovorka said. As development of the capture, storage and injection technology improves, those costs should come down. In the meantime, "We need a mechanism where the cost for the environmental benefit is passed on to the consumer," Hovorka said. "We don't have that in place -- we don't have a policy or a funding mechanism in place." A comprehensive government policy for the development and deployment of this technology that made fossil fuel energy a little more expensive could go a long way to helping reduce carbon emissions, Hovorka noted, by making it easier for alternative energy to compete on price. Meanwhile, the reluctance of the fossil fuels industry to engage in carbon dioxide reduction severely underestimates the growing public demand for clean energy and has left the door wide open for more nimble startup energy companies outside of the fossil fuel space. Alternative energy stocks have enjoyed a banner first quarter. This year marks the first that alternative energy investment is being taken seriously by U.S. investors, as the companies continue roll out significant gains in installed electrical capacity, capturing small but significant market share along with headlines for big projects like BrightSource's Ivanpah installation. SolarCity (SCTY deployed 280 megawatts of photovoltaic installations in 2013, and plans more than 500 megawatts in 2014. FuelCell (FCEL - Get Report) has more than 300 megawatts of its hydrogen-power fuel cell electrical plants installed or in backlog at 50 locations around the world, with 74 megawatts coming online in the first quarter of 2014. FuelCell and others in the space are low-priced stocks and inherently more risky, particularly for smaller investors. An ETF that tracks the clean energy sector might be a safer bet. PowerShares Global Clean Energy (PBD - Get Report) is one and includes exposure clean-energy plays outside of utilities, like Tesla (TSLA - Get Report). PBD is up 14.7% YTD. While alternative energy companies are exploiting the absence of strong curtailment policies for greenhouse gas emissions, it is unlikely that green sources alone can substantially change the course of greenhouse gas emissions. For that, we will require the cooperation of the fossil fuels-based industry players to begin refining and deploying the new carbon capture and sequestration technology. As Hovorka noted, "Eventually we have to get our atmosphere and our energy sphere into sustainable balance."